Zenoy is a French street artist, whose style is recognizable for its combination of text with comics and other Pop art figures. After humble beginnings of appearing on the subway trains and walls, where he developed his appreciation for tagging and writing techniques, Zenoy came to develop a unique style. His style is a perfect balance of colors and forms of letters. Not only does the artist master walls, but he also excels on canvas, expanding his field of work. This, however, didn’t stop his enthusiasm for graffiti but has only made it stronger. 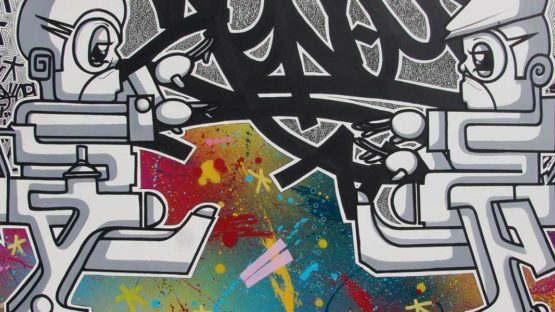 Born in 1974, the artist started his graffiti career back in 1988 in his home country, under the tag Awaysun, which he changed in 1990 to the one he still uses today. 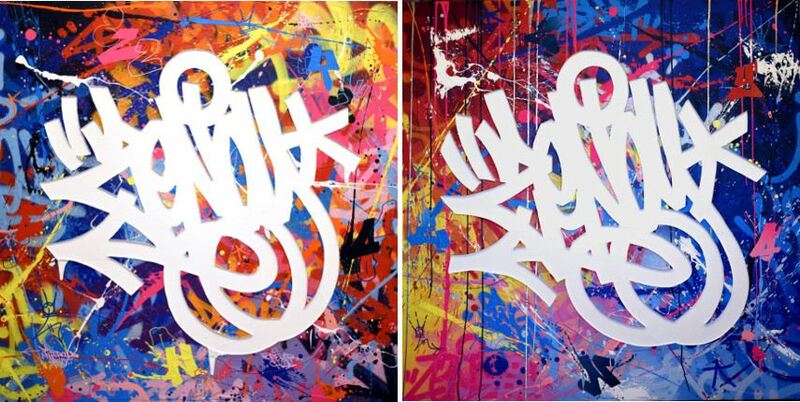 He was inspired by the American hip hop culture and underground taggers and painters. During the early 1990s he often worked with other street artists, making collaborative street art in Paris, on subways and trains. In 1991, he became part of the DKC crew, where he had the opportunity to work alongside artists such as ZEA KRUZ. It was in 1995 when he met SEZAM Crew D77, with artists like 2SHUCK, ICZN, ORGAN, Bearz, and others. Zenoy came a long way from these early days, as prices for his works range up to 10,000 dollars. It all started when he was just 14, interested to find out more about the graffiti tagging, a unique signature style. Today, he is considered as an heir to the writing technique born in Philadelphia in the late 1960s. From the very beginning, Zenoy showed remarkable drawing skills, tagging his first signature “Awaysun” on school benches, walls of Parisian suburbs, trains, and posters. It was there and then that he displayed his true rebel colors. Over the years, Zenoy never lost interest in graffiti. We can say it only transposed to other mediums, such as canvas and sculpture, and spread on walls all around the world. The letter is the basis of Zenoy’s work, but it is often pushed aside or covered up by his great desire to experiment and create. 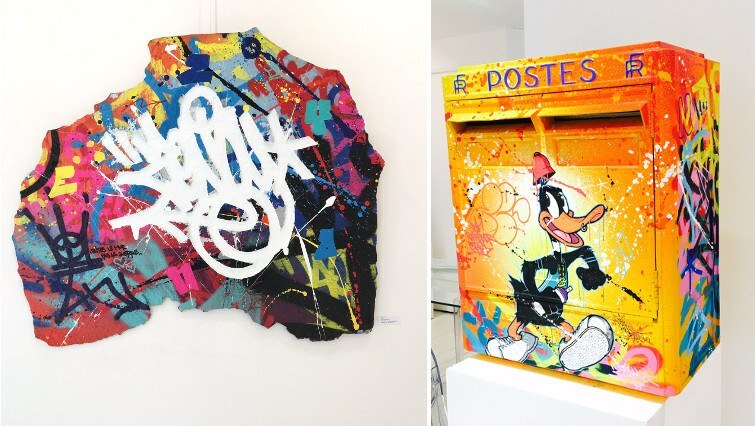 Continuously, throughout his work, Zenoy is taking graffiti to a new level, devoted to graffiti, but changing the medium of his expression along the way. 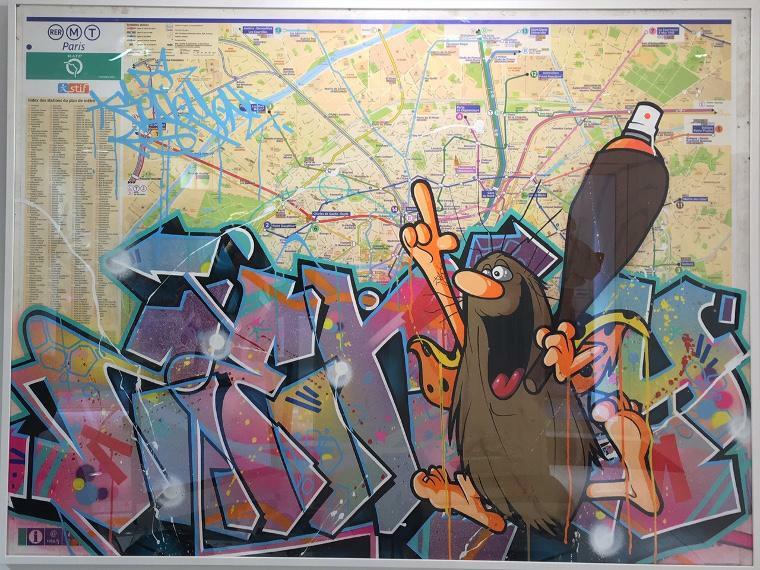 His art is layered, as he incorporates found objects such as furniture, subway maps, subway signs, PO boxes, and toys. Explosive, vibrating colors create a different outlook of the streets we are all surrounded by. Zenoy keeps gradually registering his concepts and ideas in the outline of the contemporary art. He is recognized for his love of graffiti above all, tagging, and letters. The artist is represented by Géraldine Zberro Gallery in Paris. Zenoy lives and works in France.